I thought I would let you know about our plans for 2019. We are working on a fifth generation of I, Librarian that should be available sometimes this year. We want a new UI that will be less cluttered with similar functionalities grouped consistently across all views. The new UI design will be responsive, with a goal of 100% functionality on touch-enabled laptops and tablets. Most, but not all features will be available on phones as well. We also want most views to be accessible with unique hyperlinks and have an ability to use browser history to change most views. This is to enable us to add/change features and track bugs faster and easier. This is the major reason why the development is taking longer than usual. We are splitting I, Librarian to two versions. The basic application will have the same features as the current version. It will remain free and libre. The Pro version will have some additional features targeted to corporate users, like user groups, integrated patent search, automated keyword analyses and internet database searches. The Pro application will be available on our servers only on a subscription basis. It will allow us to use commercial APIs that we could not otherwise use with the free version of I, Librarian. We want for our customers to have an ability to keep sensitive data on their local server. This includes user data, passwords, PDFs and all other files, even the cached data. 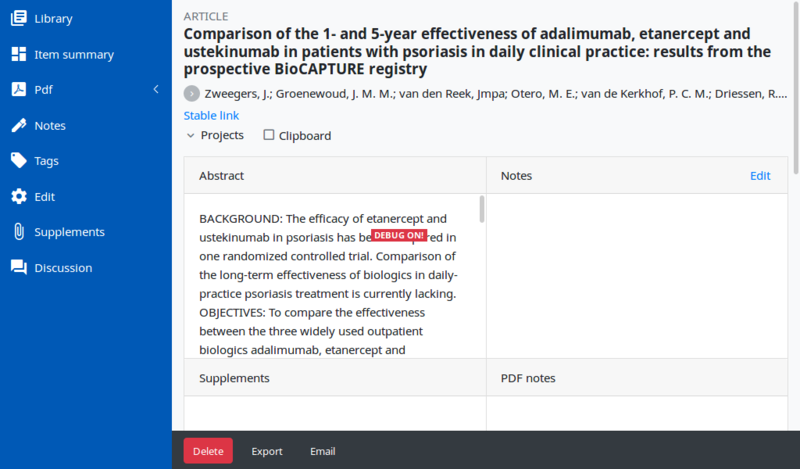 We have not decided whether this feature will be available for both versions of I, Librarian or juts the Pro. We will bring more news as the development will be closer to its end. Thank you for your patience.